It’s never too late to start over. Martin has just left behind his two children, grandchild, ex-wife and bankruptcy in Maryland for a job in Reno, Nevada at a transitional program for released inmates. Travis, a new member of the program, is a free man after twelve years behind bars. This is Martin Bonner tells both of their stories, which quietly intersect as each man takes tentative steps to rebuild his life, and proves that with the right writing, directing and performances any story, no matter how small, can make a profound cinematic impact. There are no villains, no raised voices, no scenes of great shock or awe; only Martin and Travis trying to establish themselves in Reno. 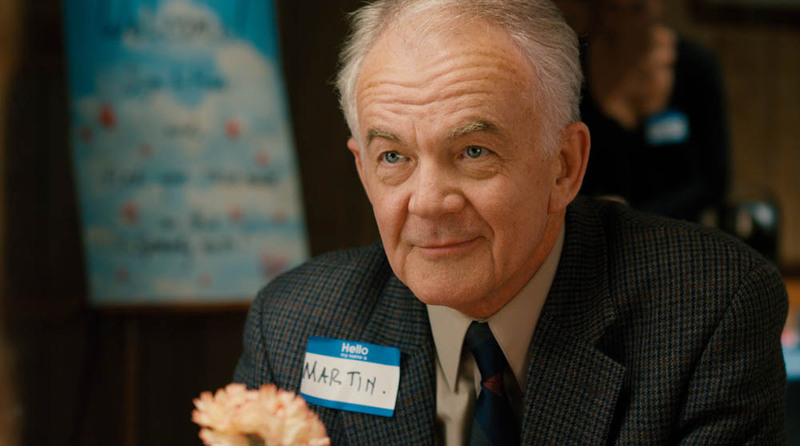 Martin, a sweet and doting Australian transplant, reluctantly tries speed-dating and leaves unanswered messages for his son. Travis gets a job and lives in a motel with the help of his well-meaning transitional mentor Steve, but finds himself drawn to Martin, whose “crisis of faith” led to the demise of his own former life. This is Martin Bonner’s real emotional peak is reached during Travis’s reunion with his daughter, a bright but wary young woman he hasn’t seen since she was twelve years old. The outward simplicity of the scene, paired with the awkwardness and heartbreak between the two near-strangers just below the surface, exemplifies the understated tension yet empathetic treatment of its subjects that characterizes the whole film. This is Martin Bonner doesn’t judge Martin or Travis; it just shows us who they are, and does so beautifully. That’s more than enough.